Why consultations are a first need. A young neighbor boy once fell off his skateboard and was injured quite severely. Bleeding and not able to move for being unconcious at first and then because of pain, there was quite a commotion with parents and neighbor kids. Several adult neighbors were terrified and frightened. They ran to the one neighbor, who was a nurse, for emergency medical help. The nurse appeared to be somewhat disconnected with all the fuss, high voices and people running here and there. She announced in a very calm yet strong directive voice, "The most important thing to do first, is to NOT PANIC." This of course, was the best initial treatment for the young lad. Consultation is your first aid of choice. It should be used in times of planning, troubleshooting, sudden changes and in long term schedules for success. We have provided this page because many wait too long to seek some aid. Then it becomes desperate and money is spent unwisely to correct the problem. We will focus on your situation whether desperate or calm and promising. We are here to help you. The current economy requires this web page. Call us now its only $68.00. Imagine a strong but calm voice saying to you, "The most important thing to do is NOT PANIC." Consultation frees you. Panic often causes immediate wrong actions while consultation, engenders reason and deliberate acts of choice. PANIC, YELL AT SOMEONE, HIT A WALL, GET DEPRESSED, GET ANGRY, GET DRUNK, OVER REACT, BEAT THE DOG OR (INSERT YOUR OWN). Human nature wants to default to these and other troubles. We can help give you some practical advice with a simple consultation so you have control over the instincts associated with Fright = fight or flight. Newport Arizona has a one time "Consultation First" that we invite you to take advantage of. The consultation's cost is only $68.00. Peace of mind, a call to action, and potential avoidance of total loss is the goal. Is it always profitable? Not always in the monetary sense but for experience sake, absolutely yes. You can make your pathway bright. When you are willing, we are offerring a personal consultation for you. In this consultation we will meet with you and review your specific situation and we will let you talk out your concerns. We are not attorneys but we have extensive experience in lending, real estate foreclosure resolution and we have a listening ear. We recommend other professionals, if you need them. We can help to prep you for what is inevitable or help you avoid unnecessary conflicts. We can help you find resources. We can help you determine which resources to use. There are so many unregulated groups out there that it can be very costly and treacherous to your financial health if you seek the wrong types of help. We also have sponsors here that you can click and interview. Doing this work on your own (but not necessarily by yourself alone) restores your balance. This will help you feel in charge of your final outcomes. This Consultation First saves money. There really is no catch. We want to help everyone to get out of this quagmire we are all in. We will follow up with you, help you set a strategy, define terms, translate letters and documents that are being sent to you. You'll also always know what is going on because you are "on it" and are aware when the work is done or must be abandonned for the next step. This consultation is only $68.00. We will meet anywhere in Maricopa County. Meetings are held in your home, a title company, a library or any place that we can talk without distractions of other business. Your children are welcome if they need to be there. Telephones on vibrate and no nosey cretins. Our goal in this is obviously not to make a huge profit. It is our ambition to create a business relationship that may provide for other mutually beneficial projects in the future. And to keep you visiting NewPortArizona.com! INTEGRITYgoverns. We have great hope for your future and respect for your economic situation. Here's why. No matter what happens now, EVERYTHING gets better with time. Downturns are usually just temproary and are measured in months not entire lifetimes. Most people become more successful financially during the economical trial and in the coming out of it. We will not try to "upsell" you to some training program and ask you to spend more money. You can't afford that. Stay away from the get rich easy schemes, the "give me all your money up front" schemes, and "to good to be true" schemes. You can go to seminars, and community programs and learn a whole plethera of "stuff". However, In those types of meetings, there is very little chance to get specific. Often you are referred to people who want you to pay them thousands of dollars now to do very minimal, uncomplicated, things you can do yourself. There is no guarantee that you will get the desired outcome with these groups. In fact most of these companies fail in their services offered. You would be better off buying a lottery ticket. Some folks pay for these so called services and "T V" programs because it helps them to feel like something is being done. In Reality? Very little is being done in a timely fashion. Time is of the essence when being confronted with foreclosure or bankruptcy procedings. We will listen to you. We want too! Most of us really need an outlet just to get things out in the open and heard by somebody who is intent on finding or creating solutions. Many people who talk to us are so relieved after the consultation, just having been able to express themselves and do what we call "mucking out the stall". 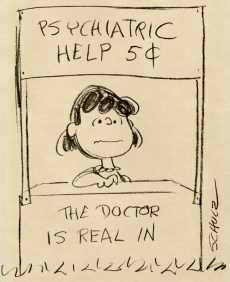 It is cheaper than a marriage counselor or attorney. We have been consulting for over 25 years. Of course aconsulting company never encourages you to go about your business on your own. But if you feel comfortable doing so, get your Nike's on and Just Do It! Call us later. We want to build trust. Our goal is to help you with any mortgage or real estate problem. The consultation first, is a place to start when dealing with foreclosure and other debt related to mortgages and real estate, which is essentially becomes all debt. The meeting usually lasts about an hour, but... it is not limited to that. There is no additional cost for a consultation even if you need hours. In addition, You will have access to our telephone numbers. We will take your calls at no extra charge. We will never bill for phone calls and letters. The only way we will get paid again is if you choose to use our services as mortgage professionals or real estate agents. If you need a second consultation after the first one there is a charge of $44.00 if it is done within the first 6 months. Yet, once you are engaged in tracking the specific solutions to your specific needs and wants there is rarely a need for further consultations in person. We do not charge for emails and voicemail communications either. Most people have resolved their issues in a 6 month period, one way or another. Foreclosure is a terrible waste on your mind and soul, not to mention the financial burdens. Lets get started! Call Mark at 480.899-4737.